Product prices and availability are accurate as of 2019-04-20 01:35:59 UTC and are subject to change. Any price and availability information displayed on http://www.amazon.com/ at the time of purchase will apply to the purchase of this product. 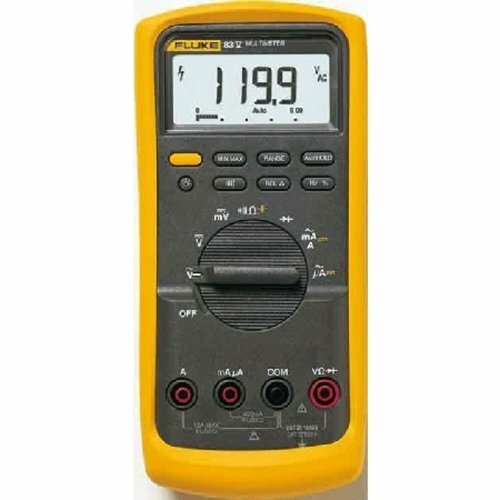 The Fluke 83 Series V Industrial Digital Multimeter is an average responding-RMS indicating digital multimeter (also known as a multitester) for measuring AC/DC voltage up to 1,000V, AC/DC current to 10 amp (20 amp for a maximum of 30 seconds), frequency to 200KHz, resistance to 50 megaohms, and capacitance to 9,999 microfarads and includes continuity and diode tests. 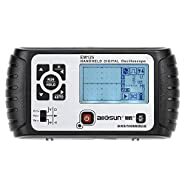 The 6,000-count resolution, 3-3/4 digit digital display is backlit for readability in low-light conditions and includes an analog bar graph which updates 40 times per second which is useful for making peak and null adjustments and for observing rapidly changing inputs. The meter has Min./Max.-Average recording as well as a Min./Max. Alert to automatically capture variations. A duty cycle indicates the percentage of time a signal is above or below the trigger level during one cycle and a peak capture function detects intermittent problems and transients as low as 250 microseconds. 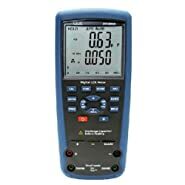 The meter has both manual- and auto-ranging modes for user flexibility and a hold function to capture readings. 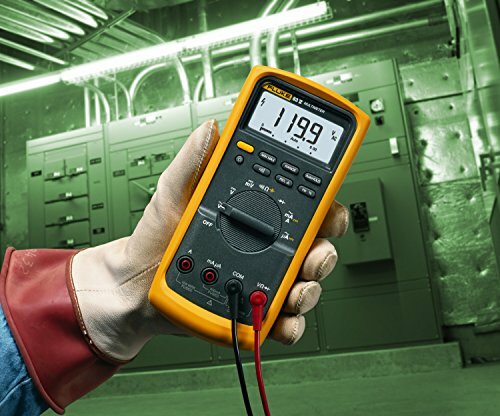 This meter is safety rated for Category III up to 1,000V and Category IV up to 600V and can withstand hazardous volt spikes in excess of 8,000V to reduce risks of spikes and surges caused by load switching and faults on industrial circuits. 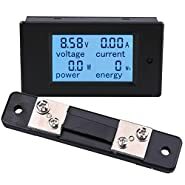 It uses a 9V battery (installed) that has a battery life of approximately 400 hours without backlight and has a selectable sleep mode to maximize battery life. The meter measures 18.6 x 8.6 x 3.1 cm (H x W x D) and weighs 22 oz./624 g. (H is height, the vertical distance from the lowest to highest point; W is width, the horizontal distance from left to right; D is depth, the horizontal distance from front to back.) 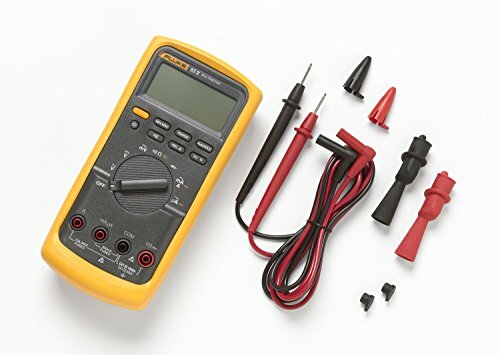 This meter includes a removable holster with built-in test lead and probe storage.